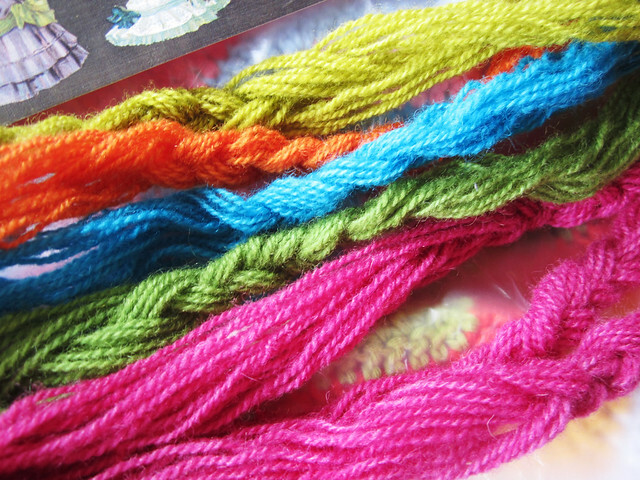 I invite you into my creative, messy life with another post of random photos. 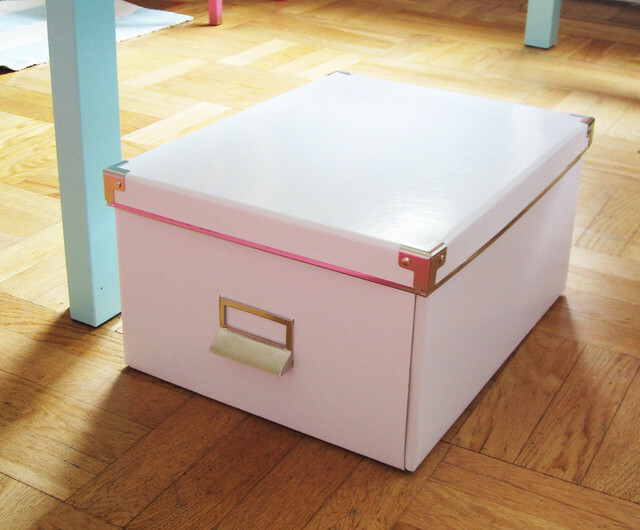 White paper box from IKEA, for storing away this and that. A birthday gift from mom. 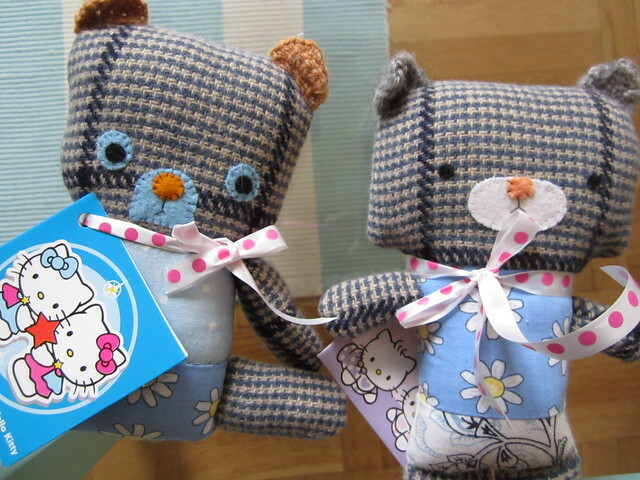 Handmade teddy bears. Gifted to newborn twin girls. 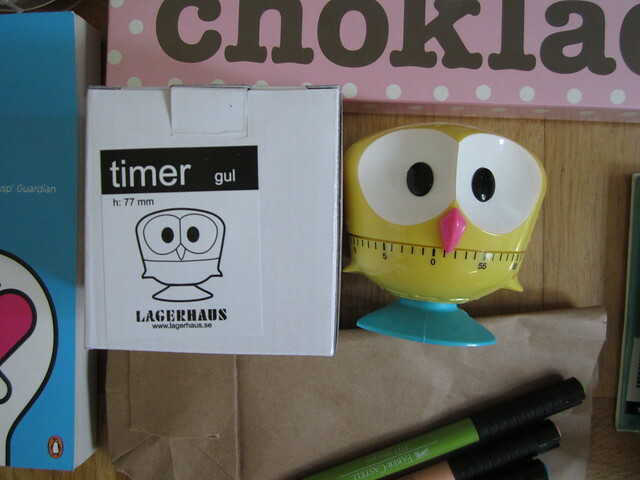 A new cute owl for iHanna: it’s a yellow timer for my tiny kitchen. Embroidered bracelet by Margot. She made it for herself and then gifted it to me. I love it! Trying to write some lists in the journal that Tammy sent me in our swap. The list ideas we came up with together are giving me a hard time, but once I finish I will show the journal! It’s so pretty. What do you think? Got a better suggestion? Did you enjoy this post? This entry was posted in A Creative Life, Photography and tagged documenting life, happiness, photo diary. Bookmark the permalink. I love looking at snapshots like these and I make a lot of them myself too (don’t always post them, but they are made, yes they are). There’s something inspiring about watching other people’s materials and goings on in the creative field. So keep them coming please! As for a name: creativity is snapshots seems very catchy to me. 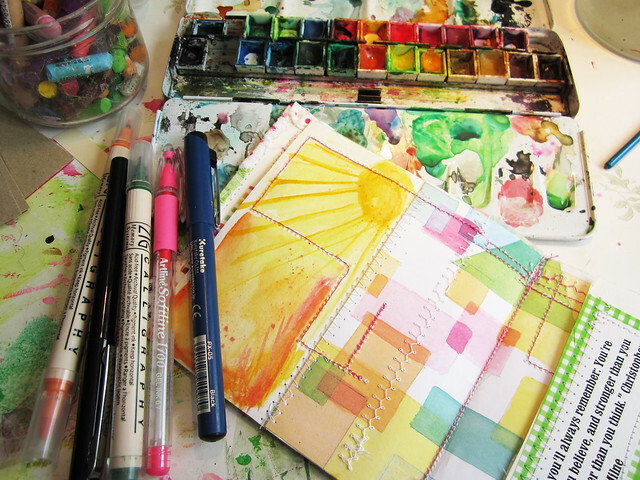 whatever you call it, it’s fun to see these snapshots of your creative life! oh, this photo is Delicious!!! I think ‘creativity in snapshops’ is more catchy. I love to do paper sew journals too. One question? I include all types of paper, small 3D items, etc, but I also like to add pictures. What’s the verdict on acidity in the paper leeching into and ruining the photographs? And I suppose, does it really matter, b/c most (if not all) my pictures are backed up digitally. What are you thoughts? Hmmmmm….I might have to use one of those! Hi Gerti, all of those are great, I hope you will use one of them. 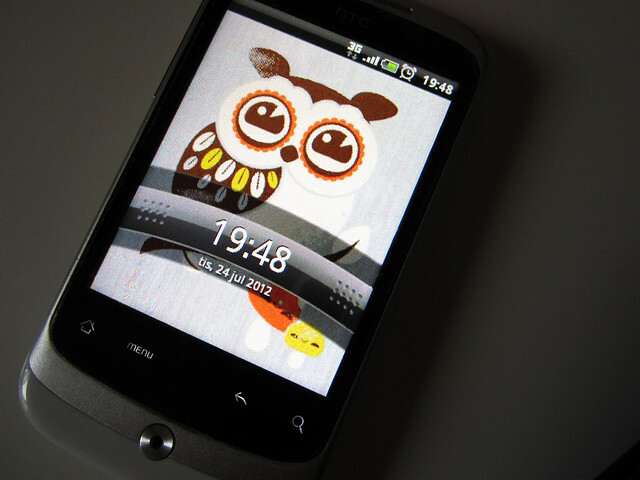 I think I might stick with “snapshots”, I really like that word! It just says exactly what they are.